Solid-state batteries are considered a potential successor to lithium-ion batteries. While several well-known companies such as Toyota, Fisker, Hyundai, BMW or Bosch have been working on them for a long time (Bosch even gave up), the first production line operation is now getting started in China. Despite all the advantages, however, it is doubtful that solid-state batteries will replace lithium-ion batteries. You always hear a lot about new battery technologies, but there's a lot less chatter when it comes to practical implementation of the technology. The news is different this time around, because solid-state batteries are going into production for the first time in China. And soon enough, they should be integrated into mass production. The start-up company Qing Tao Energy Development Co. was formed at Tsinghua University, which is considered one of the best technical universities in China. The factory, located in Kunshan in eastern China, will initially produce batteries with a total of 100 MWh per year. The company is operating with 144 million dollars of starting capital. Production is expected to rise to 700 MWh by 2020. To give you a comparison, European production of lithium-ion batteries is currently estimated at 20 GWh, i.e. 200 times higher. Volkswagen has stated that there's a demand of 150 GWh for electric vehicles. Nan Cewen is the head of the new start-up. He proudly reports that the batteries manufactured in his factory have a relatively high specific energy of 400 Wh/kg; lithium-ion batteries only reach a specific energy of around 250 to 300 Wh/kg. The start-up's report doesn't mention the energy density of the batteries, meaning the capacity per liter. 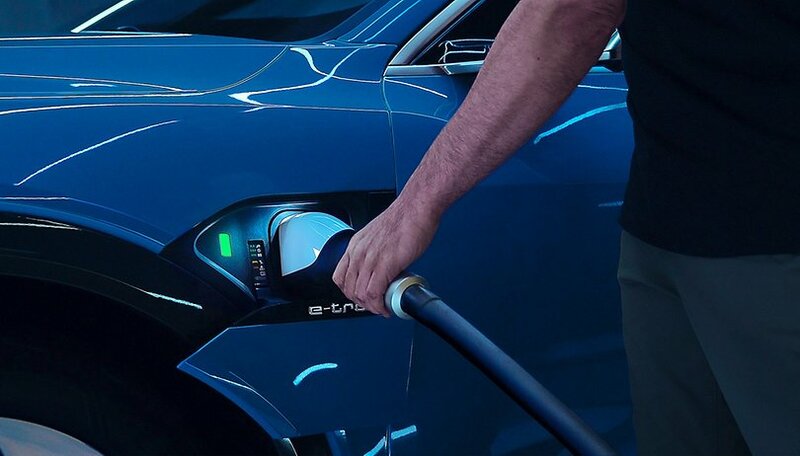 The batteries manufactured in the new factory are currently still being sold to manufacturers of "special equipment and high-end digital products", but the company is still in discussion with car manufacturers. There are still some unanswered questions. While solid-state batteries are considered safe because they are not flammable, it is not yet clear whether they also meet the performance requirements for electric vehicles. If the power density of the batteries is lower than in lithium-ion batteries, this will prolong the time it takes for them to charge, and will ultimately lower the horsepower of the vehicle. Another big advantage is that these batteries will have a longer service life compared to lithium-ion batteries. Furthermore, the battery's performance shouldn't depend on the ambient temperature. Electric cars are still facing these problems in winter. The first mass production could show that the time is now for a successor to the lithium-ion battery. But the next questions will be: Can the supply of raw materials keep up with the demand for the final product? Is it really possible to achieve such a drastically increased yield in these batteries? And can the batteries keep their promises under real conditions? We'll have to wait until 2020 to find out! For large cities, to reduce pollution in crowded areas, for short distances and relatively short distances (even within hypermarkets! ), the possibilities of moving with electricity are extremely useful. Beginning from trotters and bikes, going to cars and trucks, even seagoing vessels, the application domains are very wide. That is why research results in the field of energy storage are of great interest. Interesting. I personally think clean power commercial and public transit fleets of large vehicles are going to come into mainstream use years before personal cars (same for robot guidance). Vancouver's Ballard Power is doing field trials of fuel cell buses in that city and I think London, UK. It becomes a matter of price, durability and reliability.